This commonly used phrase implies that to be fit and healthy you need to eat good food. Bearing this in mind, I ensure that we incorporate several of the “superfoods” into our meals. “Superfood” is the marketing term often used to describe foods that are high in nutrients that bestow health benefits. Not only are these foods high in essential nutrients, but they are also very low in negative attributes such as saturated fats, contaminants and additives. I choose to believe that eating “superfoods” which are lower in calories and high in rich and beneficial nutrients counteracts (at least to a certain extent) some of less healthy meals we devour. It’s great to be a non-discriminating foodie, but it’s also essential to make healthful decisions along the way. This is why we eat fish for dinner at least once we week. Fish is often considered a “superfood” as it is a lean protein that is low in calories and high in Omega 3 fatty acids that are very beneficial for our bodies. Since this is my first fish post, I want to share a fish recipe that reminds me of my childhood – one that’s made at my parents’ home on a regular basis. My mom uses Rawas (Indian Salmon fish) for this curry, but I use Tilapia as American salmon tastes quite different from the Indian kind. 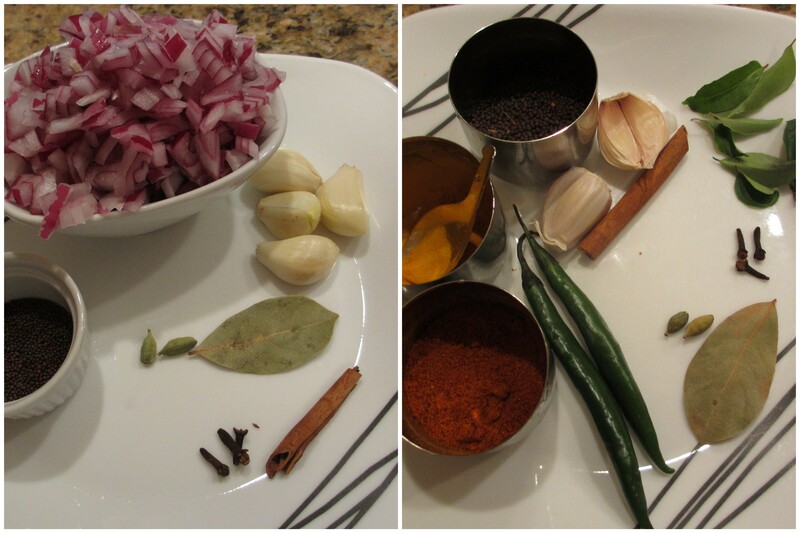 Tilapia is a mild tasting fish and hence a great palette for the aromatic Indian spices and tangy tamarind. 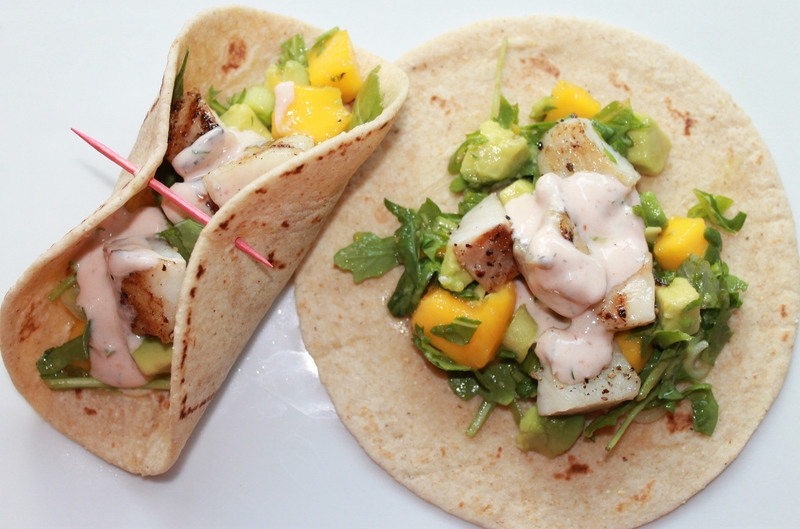 You can use any mild tasting white fish you like for this recipe. 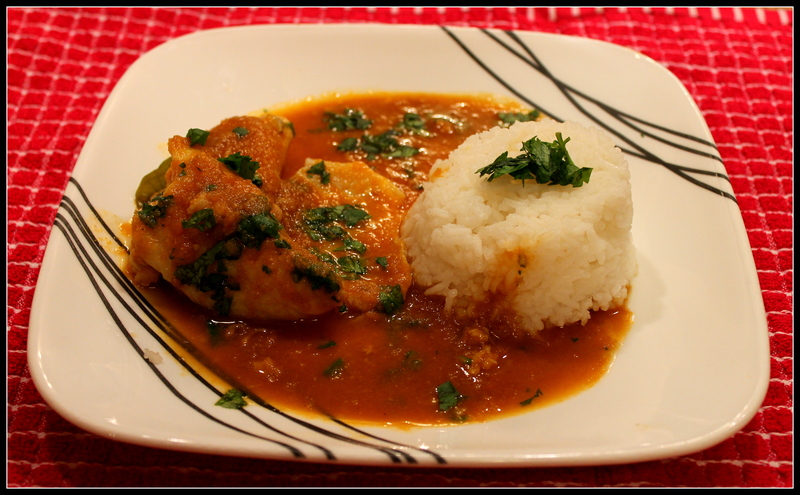 Traditionally, this fish curry is served with Basmati rice, but its bold flavors are delectable even when eaten by itself. To grate the tomatoes cut them in half across the width and remove the seeds with a paring knife. Use the larger side of a box grater to grate the meat side of the tomatoes. Discard the peels once done. If you do not have red chili powder you can use cayenne. Garam Masala is found in major chain grocery stores and Indian grocery stores. 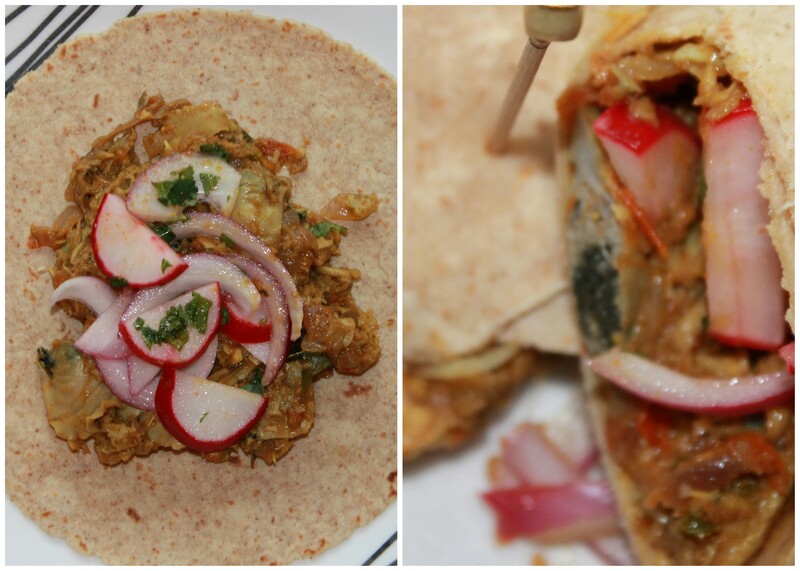 If you do not have a store-bought Garam Masala, you can easily make and bottle your own. 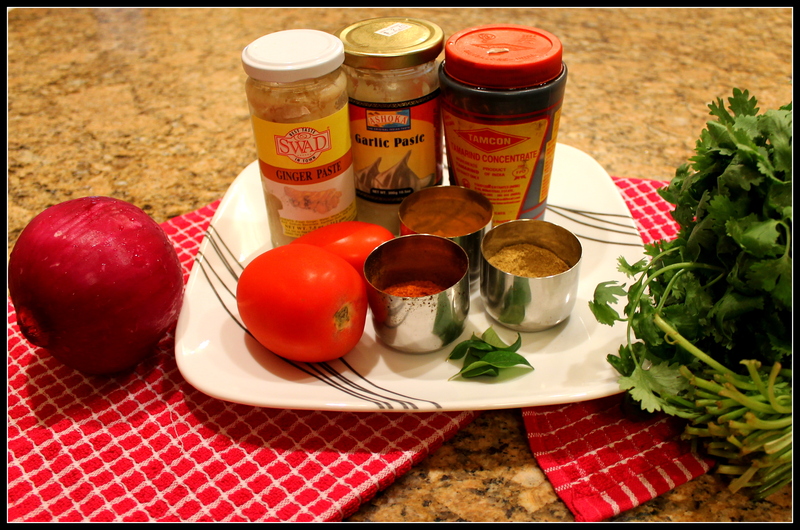 Here is an easy Garam Masala recipe. 2) Once the oil is hot, add the onions and sauté until golden brown, about 7-8 minutes. Stir the onions while sautéing them to ensure even cooking. 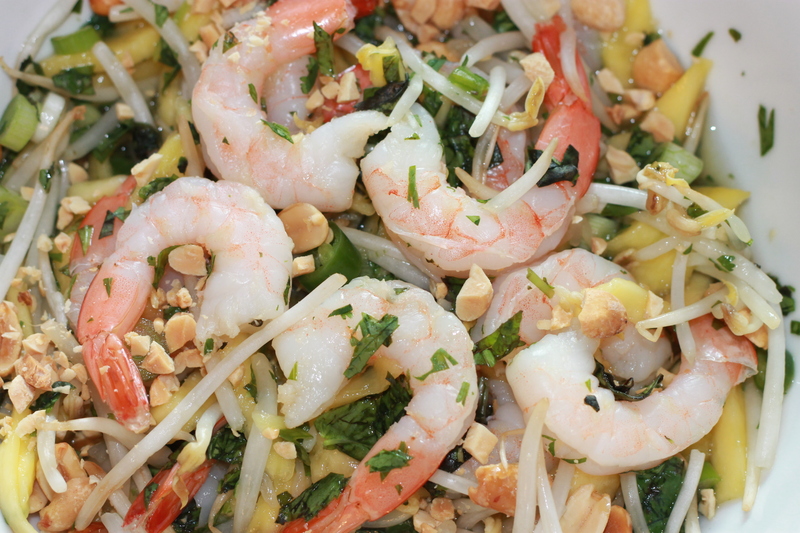 3) Once the onions are ready, add the ginger paste and garlic paste and cook for 1-2 minutes. 4) Add the grated tomatoes with a ¼ teaspoon of salt to the onions, garlic and ginger. Adding salt to the tomatoes helps them cook faster. Cook the tomatoes, stirring occasionally, till the oil separates from them. About 6-7 minutes. 5) Add all the dried spices and cook them for 2 minutes. 6) Now turn off the heat and let the above mixture cool a little. Once it’s cooled puree this concoction in a food processor or blender and set aside. 7) In a medium non-stick pot heat the remaining 1 tablespoon of oil on medium heat. Once the oil is hot add the curry leaves and green chilies and cook them for 2-3 minutes. Don’t let the curry leaves burn. 8) Add the onion-tomato puree that was set aside to this pot and cook till the puree turns to a reddish-brown color. This takes about 8-10 minutes. 9) Once the puree is the desired color, add the remaining 1 teaspoon of salt and 2 cups of water and bring it to a rolling boil. 10) Once the water reaches a rolling boil, reduce the heat to medium and add the tilapia fillets. Cover and let it simmer for 5-6 minutes or until the Tilapia fillets are fully cooked through and fork tender. 11) Turn off the heat and carefully stir in the tamarind paste. 12) Taste and adjust the salt, spice or tamarind paste. 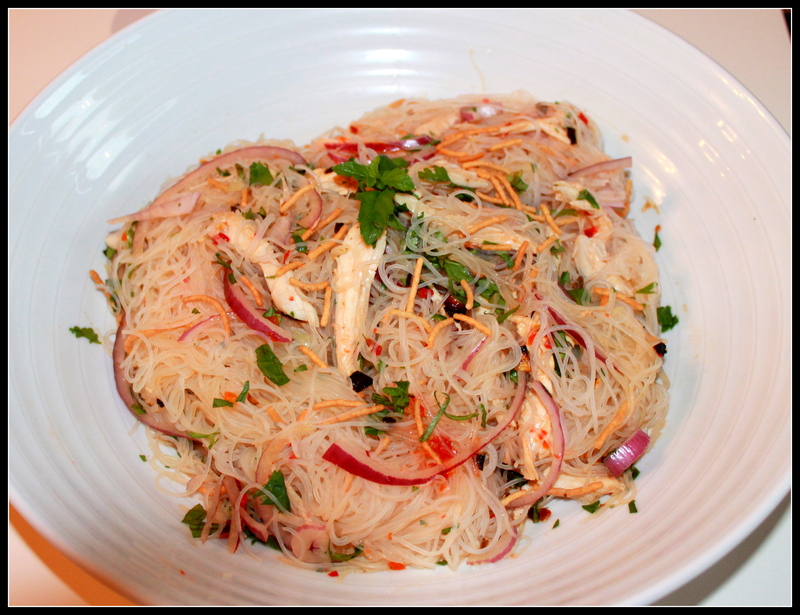 Garnish with cilantro and serve immediately with a side of Basmati rice. If you live in the North East, summer is that time of the year when everyone and everything seems vivacious, buoyant and liberated. It’s the time of the year to pack in barbecues, pool time, camping, movies under the stars and everything summer related before it all fades away. In our household summer includes consuming copious amounts of fresh summer produce and seafood. While, a lot of summer produce and seafood is often found year-round, the quality and assortment are extremely disparate from when they are in season. My summer menus are usually inspired by all summer produce, but my partiality towards TOMATOES is often a rather controversial topic in our home. This is the consequence of feeding my husband every conceivable version of a hot and cold tomato soup and tomato salad last summer, till he was “tomatoed” out! This year I had to tread carefully and find less blatant approaches of working tomatoes into our dinners. I worked furtively to reposition tomatoes – the Queen of Summer Produce from being the meal to the background essence of most of our meals. This recipe is the outcome of one of these covert experiments. 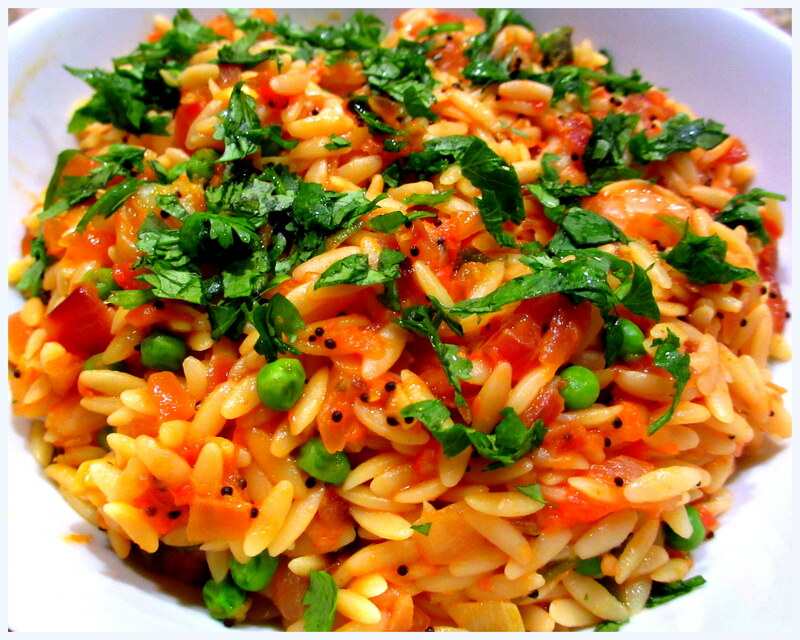 The union of tomatoes with onion, garlic and ginger – the trinity of Indian cuisine gives a traditional Italian orzo an exotic and exciting twist. Versatile orzo absorbs the favors of the tomatoes and Indian spices creating a light and healthy one-pot dinner. Leave out the shrimp and increase the peas if cutting back on shellfish. Bring 6 cups of water to boil in a 2 quart or larger pot. When the water is at a rolling boil add 1teaspoon of salt and the Orzo. Cook the Orzo stirring constantly. Cook till the Orzo is al-dente (firm to bite) about 8-10 minutes. Drain and set aside. Heat the oil in a 4 quart heavy pot over medium heat till it shimmers. Add the mustard seeds and wait for them to pop, about 1-2 minutes. Add the curry leaves if using them and cook for a minute. Add the bay leaf, cinnamon stick, cloves and cardamom and cook for another minute. Add the onions to pot and cook, stirring occasionally, until translucent, about 6 minutes. Add the garlic, green chilies and ginger and cook stirring, 2 minutes. Add the turmeric and chili powder along with 1 tablespoon of water and cook for 2 minutes. Add the tomatoes along with 1 teaspoon of salt and cook till the oil separates, about 4 minutes. Reduce the heat to medium low and add the shrimp and peas to the pot and cook till the shrimp is cooked through, about 4 minutes. Stir in the cooked Orzo and toss everything together for a minute. Add the lime juice, garnish with cilantro and serve hot.